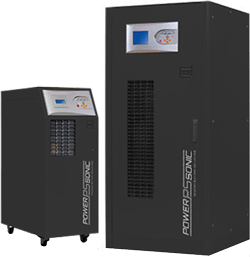 Power Sonic’s comprehensive range of UPS have been designed and manufactured to deliver energy efficient and cost-effective power protection that eliminates disruptive and costly downtime. 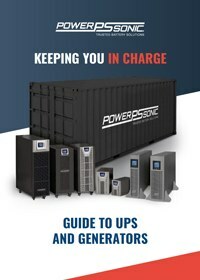 With a wide range of Uninterruptible Power Supply (UPS) solutions for several applications, from home and office use all the way through to mission critical data centres and medical uses, Power Sonic has the right UPS to meet your needs. An Uninterruptible Power Supply is a backup UPS system which provides a continuous, stable and clean power supply to your electrical equipment and computer systems. In the event of a power failure the UPS system, which contains its own batteries, will continue to power your electrical equipment or systems for a set period. Our range of UPS systems are manufactured using the latest technology and following the highest quality standards ensuring every UPS with the Power Sonic name delivers maximum reliability and efficiency. 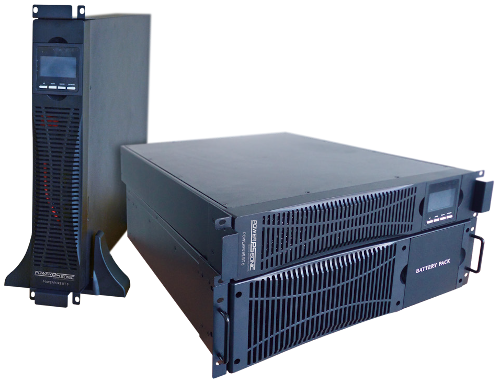 True double conversion online UPS delivering power protection for servers, data networks, medical labs and computer systems. 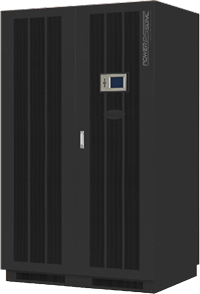 RT (rack and tower) configurations ranging from 1kVA to 10kVA. Online UPS utilizing IGBT rectifier and inverter technology providing input power factor close to 1 (≥0.99). Space saving design ranging from 10kVA to 120kVA ideal for data centres, medical, infrastructure and transportation applications. 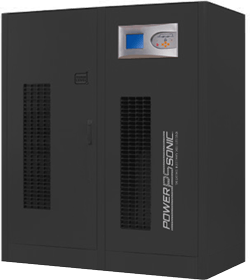 Online three-phase UPS with full rated power factor (kW=kVA) delivering one of the highest energy efficiencies in the industry. Ranging from 10kVa to 1000kva. Suitable for a wide variety of industrial loads including medical, utilities and data centres. Online UPS with true three level rectifier and inverter technology with ultra-high output galvanic isolation transformer embedded, engineered to provide the highest level of reliability and protection for industrial loads 80kVA to 200kVA. Designed to deliver the highest level of business continuity with modular, redundant architecture that can scale power and run times as demand grows or when higher levels of availability are needed. Fully scalable from 10kVA to 2080kVA. All our Uninterruptible Power Supplies come with Power Sonic batteries, sealed lead acid and lithium options available.